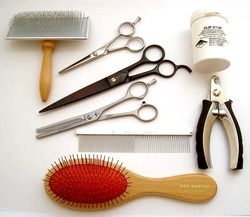 List Of Services w/o Prices - Establishment Dog Training, Ltd. Basic Training teaches on-leash training in just 8 weeks. An orientation class without dogs. This is an opportunity to discuss your dog's in-home behavior problems during an extensive question and answer period. Also, samples of required equipment are displayed. All basic obedience lessons are taught with the goal to achieve excellent on-leash obedience competence and restructure your relationship between you and your dog so that you work together as a "team". 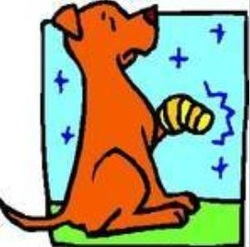 Skills taught are: sit, come, down, stay, heel, finish and stand for examination. Dogs and handlers compete in a fun version of a regulation obedience competition. 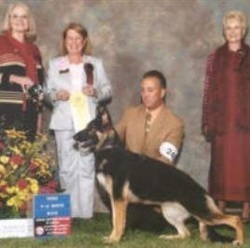 Graduate medallions are awarded as well as special awards for highest scoring and most improved dogs. If, after completion of the Basic Training Course, your dog has not achieved a level of performance to qualify for graduation, you may continue to attend classes at no further charge until your dog is qualified for graduation. This guarantee is limited to owners who attend all classes and follow our program and work diligently with their dog as specified by the trainer. Note: This guarantee DOES NOT apply to any of the IN-HOME Training Services. A metal choke collar, 6 foot leather leash and 10 foot cotton web leash are required equipment. (Samples will be shown at the orientation session). For more information about required equipment, click here. Most work is off-lead. On your command, your dog learns to jump three different types of obstacles (High Jump, Bar Jump and Broad Jump) as well as a series of jumps. Your dog will learn how to drop to the ground instantly from a distance or while moving and stay in position until called. Off-lead work is polished and perfected. Your dog learns to heel off-leash as well as come when called despite distractions. Sit/Stay and Down/Stay commands are performed with the owners out of sight of the dogs. Of course, distractions become more challenging too, because cats, food and many other temptiong offerings are used to entice your dog. Prerequisite: Successful Completion of Classroom Level Two. All work is off-lead. Your dog will address the challenges associated with an obstacle course including a Triple-Jump, Tunnel, Hoop-Jump, Pause Box, Table and an 8 foot Scaling Board. Your do will also learn "tricks" including "Bang - You're Dead", Jumping through a Hula Hoop, Carrying Groceries. 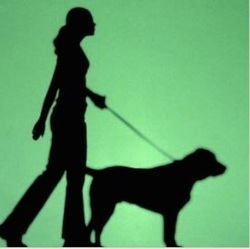 Your dog will learn the Hand Signal Exercise: Sit, Stay, Down, Come and Finish at a distance. Performed with hand signals only - no voice commands are allowed. Prerequisite: Successful Completion of Clasroom Level Three. All work is off-lead. More obstacles are introduced to challenge your dog including the Double Bar Jump, Triple Bar Long Jump, Table, Collapsed Tunnel, Crawl Tunner and the Weave Poles. More "tricks" are learned as well including Take a Bow and Crawl. We also teach "Report" (carrying objects from one person to another over long distances). Your dog learns how to "Find My Keys" and search for lost objects locating and tracking your scent. Your dog will learn the "Control Exercise" which consists of the following: Send your dog away from you in a straight line, stop him in a sit, call him, stop him in a stand, down him, back up to a sit, come and finish. This one is challenging and fun! Success at the Intermediate Level qualifies your dog to enter our top advanced level of training known as the PiSquared Class. Our "tongue in cheek" name for the "top advanced level". This level has evolved into a "continuing education" course for those students who simply cannot get enough dog training. In other words, you can continue training with the same group of people for as long as you desire. There are always new things to learn and new challenges in every session. PiSquared Level members celebrate the Christmas season with an annual Christmas party (all PiSquared dogs are invited). They also participate in parades and exhibitions for schools and community associations to demonstrate their skills and illustrate the advantages and joys of sharing their lives with a "Canine Good Citizen". The Pi Squared Level Orientation has now become known as the "Pizza PiSquared Orientation" because the groups have decided to meet at a local pizza parlor for the orientation class. At the end of the training year (May) all of the PiSquared classes compete in the "Annual PiSquared Olympics" in various Obedience and Agility competitions while enjoying an outdoor BBQ. Prizes are awarded for the top scores in each category. 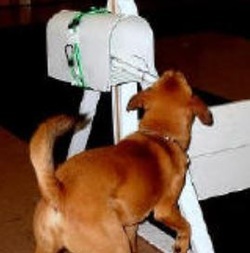 The dog with the best overall scores is awarded the "Top Dog Of The Year" trophy. The Pi Squared Level has grown into a group of people who consider themselves friends and are always happy to accept new friends into "the club". The AKC’s Canine Good Citizen Program is designed to recognize dogs who have good manners at home and in the community. This rapidly growing nationally recognized program stresses responsible dog ownership for owners and basic training and good manners for dogs. 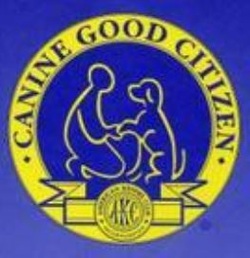 All dogs who pass the 10 step CGC test will receive a certificate from the American Kennel Club. The AKC CGC Program provides an excellent foundation for training in other fun activities such as Rally, Obedience, and Agility and results in a well-mannered dog. Why is the CGC Certificate Important to You? certificate from the American Kennel Club. 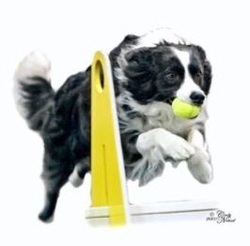 Flyball is a dog relay race in which dogs jump over a series of hurdles, trigger a spring-loaded box to release a tennis ball and return over the hurdles. The dogs are divided into teams and each team competes for the "best time". If your dog is active and energetic, this is a great way for him to burn energy while learning a fun interactive dog sport. 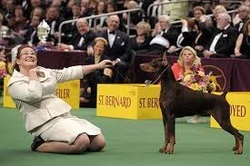 Dog's love this exciting sport which builds confidence and enthusiasm. Treibbal is the hot new dog sport which combines "hockey", "soccer" and "herding" skills. 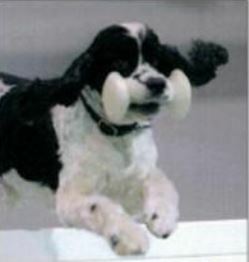 The dogs learn to "herd" giant balls through goal posts by pushing them with their nose, feet or body. The dogs are divided into teams and each team gets an allotted time to make "goals". The team with the highest number of "goals" is the winner. Can you treat a problem at home or should you head for the veterinarian? - The proper use of an electric clipper. Our Puppy Clinic is for puppies between 2 and 5 months of age. This is an extremely important time in your puppy's life when good habits are easy to establish and bad habits are easily corrected. *Head off bad habits such as jumping - hand biting - chewing - housebreaking before they become adult problems! A private, hands-on, in-home puppy class with our professional trainer to demonstrate proper training methods. Our Trainer works with you and your puppy, in the quiet atmosphere of your own home, to perfect your training skills and give you personal advise about YOUR DOG. Why An In-Home Puppy Clinic Rather Than "Puppy Classes"? Puppy "training" classes may make lots of money for trainers but usually accomplish very little in the way of "training" your puppy. Young puppies have a limited attention span and are easily distracted. They are better served by learning in the quiet atmosphere of their own home. Puppy classes usually amount to little more than "play time". We teach you all of the techniques to get you off to a good start with your puppy and we concentrate our attention on your individual dog. We believe this provides you with expert personal advise without wasting your time or money. When Should I Start Formal Adult Training? When your puppy is 5 months or older he or she will be ready for regular Obedience Training. 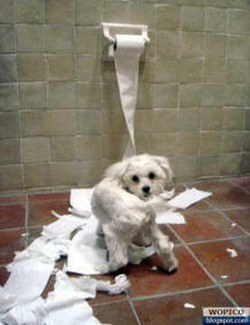 Before that age your puppy can easily become frightened or confused by adult training. This will slow down his progress and damage the relationship of trust that you wish to achieve. The skills you learn in the Puppy Clinic will head off behavior problems and teach simple skills that will make your puppy controllable and well-mannered without cutting short his "puppyhood". What Can My Dog Learn in The Future? 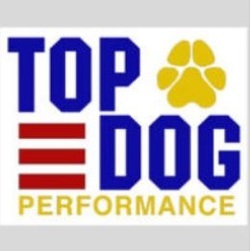 Establishment Dog Training, Ltd. offers 4 levels of training beyond Basic Obedience. 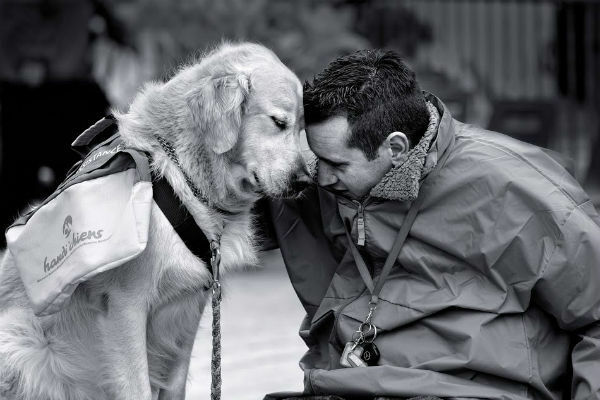 We can teach your dog to carry your groceries, find your lost keys, run through tunnels, climb over obstacles, jump through hoops, retrieve, roll over, play dead, take a bow, obey silent signals, crawl, walk a catwalk and other fun skills. Once you have graduated from Basic Training, you may continue training to transform your dog into a "Super Dog". you will save yourself a lot of time and money. ​The first In-Home Training Session gives you the opportunity to meet the trainer and gives the trainer the opportunity to meet you and your dog where the problem behavior is taking place. During this all-important first visit, you and the trainer will be able to get a clearer understanding as to whether or not additional training is appropriate. The decision to pursue additional In-Home Training is entirely yours. ​If you decide to enroll in a larger program (such as the 4 visit, 6 visit or 8 visit program), the tuition that you have paid for the "Training Now!" visit will be applied to the tuition charge for the larger program AND the "Training Now!" In-Home Training visit will be considered the first visit of the larger program. In other words, if you were to chose In-Home Program Two (4 visit program), the payment of $150 for the "Training Now" visit will be deducted from the tuition for 4 visit program. We also customize programs that may include a number of visits not listed in the programs presented below. There have been thousands of occasions when we have received a call from someone who beleives that their dog's behavior problems are unsolvable. Individual behavior problems are addressed quickly and effectively. The "Training NOW!" program was designed as a single in-home visit program to address individual behavioral problems that cannot wait for a training class. Its first purpose focuses on resolving significant in-home behavior problems in dogs over five months old. These chronic problems develop over a period of time during which the dog's behavior has gone "unchecked" and requires more attention than a single in-home visit can provide. Its second purpose is as a "Mini-Basic Training Course" for people anxious to start working with their dog and want to get a head-start with some Basic Training Techniques. Finally, it is also used by people who want "some training" but do not want the full In-Home Basic Training Course. This course teaches the following commands and skills. 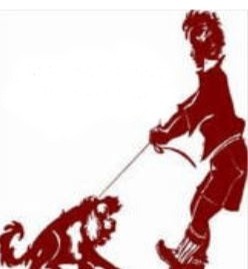 (On-Leash Training Only): Walking On A Leash (without pulling), Coming When Called, Sitting and Staying, Laying Down and Staying, General Manners. 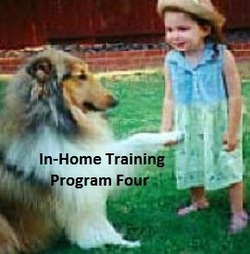 This structured program involves six in-home visits (one hour each) achieving all traditional Basic training skills (on leash only) and addresses all In-Home behavior problems. Skills include: Walking on a Loose Leash, Figure 8, Heeling, Sit Stay, Down Stay, Stand Stay, Finish. Successful completion of this course qualifies your dog to enroll in an intermediate level classroom course. 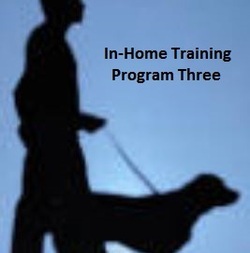 This is a structured program that involves eight in-home visits (one hour each) and that includes all of the training described in Programs 1, 2 and 3 and also includes training in the same skills off leash. Successful completion of this course produces a pet that is reliable to your commands off-leash despite distractions. Dogs who have completed this course qualify for our intermediate classroom courses. Contact us by phone or email to describe your specific needs. Owners who cannot take their dogs for a walk because of physical restrictions benefit from training their dog to use a specially designed pan. Is your dog aggressive or overly friendly with dogs or other pets? We can "reprogram" him to interact in a mannerly way with other animals. Do your kids have trouble interacting with your dog. We can work with the kids and pets to improve their relationship and develop a child-dog bond that will last a lifetime. 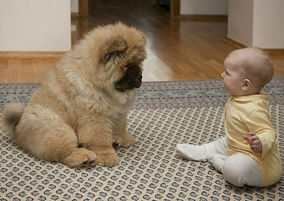 Is your dog unfriendly with other dogs, friends, strangers, veterinarians, groomers or neighbors. We can show you correction techniques to cure this aggressive behavior and help your dog learn mannerly behavior and self-confidence when he interacts with non-family members. 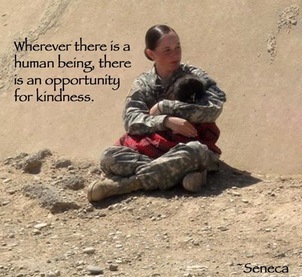 Do you have special circumstances or special needs? We will help you design a program to meet your needs. A four visit In-Home Course. This course is designed to help you compete with the pros. 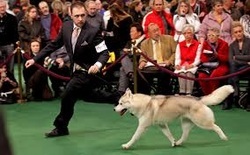 Competing in Dog Show conformation classes is somewhat daunting for the first- time competitor, but we can help you on your way to a conformation Championship. 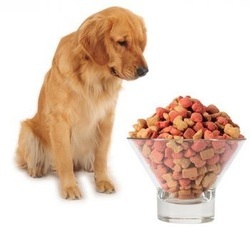 We will evaluate your dog so that you understand his/her strong points and weaknesses and teach you how to "stack", "gait" and "bait" your dog to enhance his best qualities and minimize his imperfections. Perfecting Handling and Performance for Dog Show Obedience Competition. A four week in-home course. AKC Obedience Trials have stringent rules that apply to both you and your dog. These include: the number and type of commands that can be given, proper heel position, your body movements and handling of your dog between exercises. These impact the likelihood of sucess in earning the coveted CD, CDX or UD titles. We can familiarize you with up-to-date AKC rules, evaluate your dog's performance and help you to clean up those problems that lose points in the ring. We will also evaluate your handling to help you and your dog to become a great working team that will "take home the ribbons". NOTE: Dogs must be trained in all Basic Obedience work including: Heeling on and off leash, Figure 8 on lead, Recall, Finish, one minute Sit-Stay, three minute Down Stay. Dogs that have not yet mastered these skills should consider enrolling in our Basic Obedience Course. Training For CDX or UD Competition also requires that the dog be previously trained in the skills required for these competitions. 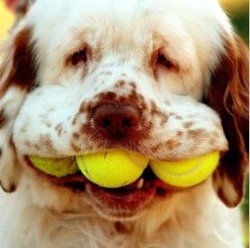 Dogs that have not yet mastered these skills should consider enrolling in our Advanced Obedience Courses. AKC Obedience Trials Too Boring? A five week in-home course. Learn Rally-O Training for a more natural training experience. This is a five week In-Home Rally-O Training for fun and competition. Rally-O is a new training competition for those that feel that the stringent AKC Obedience Trials are too formal and stiff. Rally-O combines Basic Obedience with natural movement. The handler is allowed to speak to his dog throughout the performance and may use hand signals and natural body movements to communicate. Each Rally course is unique. The handler and dog navigates a course marked with printed signs that tell them which skill to perform. Unlike an AKC obedience trial, each course combines a new set of Basic Obedience skills in constantly varying order. If your dog is bored with AKC obedience or you are looking for a more challenging experience to sharpen your dog's skills, Rally-O may be just what you are looking for. Has a friend or relative recently adopted a puppy or adult dog or they experiencing problems with their current pet? We have the perfect gift to celebrate a new addition or to get them on their way to a well mannered pet. Our gift certificates are available for classroom training, puppy clinics and all of our in-home training programs. We will send the certificate to the new owner or directly to you so that you may present it personally. Occasionally our services require the addition of special charges for one reasonor another (usually related to a travel surcharge). This section is for when such adjustments are made to our standard charges.